Arthur Freed Arthur Freed was an indispensable part of the framework of the American musical. He was a Hollywood lyricist and film producer who gave his name to the Freed Unit, which became synonymous with the spectacular, feel-good MGM musicals of the 1940's and 1950's. His best known production was 'Singin' in the Rain' in 1952, and he also wrote the lyrics to the title song. His films twice won the Academy Award for Best Picture: 'An American in Paris' in 1951 and 'Gigi' in 1958. He was responsible for many other Hollywood musical classics including 'Babes in Arms' in 1939, 'Meet Me in St. Louis' in 1944, ' Easter Parade' in 1948, 'Annie Get Your Gun' in 1950 and 'Show Boat' in 1951. Freed himself won an honorary Oscar in 1951. It is no exaggeration to say that Arthur Freed changed the musical. The list of spectacular musicals which he produced after 1944 is quite extraordinary and reflect Freed's ability to recruit, organise and guide the wonderful range of talents in Hollywood at the time. His taste and intuition set the highest standards. The films themselves are among the best ever made and his influence is felt in the Hollywood musical to this day. 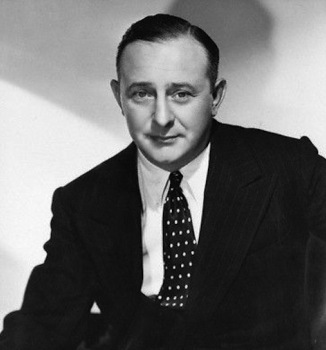 Arthur Freed was born Arthur Grossman on September 9, 1894 in Charleston, South Carolina. All his family were musical and his sister and one of his brothers also went into the music business. He was raised in Seattle, Washington and as a child he had a fascination with words and wrote poetry for his family. He was educated privately at Phillips Exeter Academy in New Hampshire where his poetry soon took the form of song lyrics. When he left the Academy he gained invaluable experience and made useful showbusiness contacts in a number of music related temporary jobs including playing piano for a Chicago music publisher and performing as a singer on the vaudeville circuit where he worked for a while with the Marx brothers. Even as a young man he showed a flair for organisation and during WWI he staged military shows, then managed a theatre, eventually producing his own musical shows, all the while continuing his lyric writing. In 1921, he wrote the song "When Buddha Smiles, collaborating for the first time with composer Nacio Herb Brown, and his first real success came in 1923, when he wrote "I Cried For You" with Gus Arnheim and Abe Lyman. Finally in 1928 he obtained a job as a lyricist for MGM studios and was detailed to work with his former collaborator, Brown. For the next decade Freed, along with a number of collaborators, the most frequent of whom was Nacio Herb Brown, wrote many popular songs, including such standards as "Broadway Rhythm," "Singin' in the Rain" and "You Are My Lucky Star". He was involved with most of the studio's early musicals and wrote songs and scores, mostly with Brown, for movies such as 'The Pagan' in 1929, 'Montana Moon' in 1930, 'Dancing Lady' in 1933, 'A Night at the Opera' in 1935, and 'Broadway Melody of 1938' in 1937. Freed was an ambitious man and although he continued working as a songwriter for many years, he was anxious to spread his wings and to begin producing movies. He began to bombard MGM head, Louis Mayer, with requests to produce a movie and in 1938 his moment came when he was named associate producer of 'The Wizard of Oz' with Mervyn LeRoy as its producer. The film was released in 1939 and was an immediate commercial success. It has since become to be regarded as a cinematic classic and although Freed was not named in the credits it helped secure his reputation and position within the hierarchy of MGM. He was given more movies to produce, beginning with a series of musicals starring Mickey Rooney and Judy Garland, and known as "backyard musicals" as they were always on the theme of a group of young people determined to put on a show in their "backyard". These movies included 'Babes In Arms' in 1939, it's follow-up 'Strike Up The Band' the following year, 'Babes on Broadway' in 1941 and 'Girl Crazy' in 1943 and were extremely popular with the public and very profitable for the studio. Freed took an interest in promoting the career of the multi-talented Judy Garland and there is no doubt that her success helped his own career. In 1944 he produced 'Meet Me in St. Louis', starring Garland and it marked a major step forward in the ambitious Freed's career. It was the first of the Technicolor musicals with a big name cast. Freed had an uncanny ability to spot talent, both in front of and behind the camera and he began to get together a team of specialist writers, directors, technicians, composers and performers who came to be known as the Freed Unit. From 1944 until the late 1950's Freed and his Unit raised the status of the musical to unparallelled heights. As well as Judy Garland with her massive talent and all her youthful zest, Freed worked closely with Fred Astaire and Gene Kelly, and also recruited Lena Horne and June Allyson for the studio. He associated closely with composer and arranger Roger Edens and worked with screenwriters Betty Comden and Adolph Green, while such magnificent directorial talents as Vincente Minnelli, Stanley Donen, Busby Berkeley, and Charles Walters were amongst his team. With his songwriting background he was able to call on the likes of Cole Porter, Irving Berlin, and Oscar Hammerstein to write songs for him, and he had available some of the finest musicians and choreographers, art directors and costume designers that Hollywood had at the time. Not all worked exclusively for Freed but he was able to call on the best talent available whenever it was required. The result of this unprecedented pooling and organising of supreme talent was a series of popular, beautifully staged musical movies, more colorful, brighter and more elegant than before, and making the musical into a genuine art form. After World War II, when cinema attendances dived and all the major studios suffered, MGM owed what profits it had to the Freed unit. The first of the top musicals to emerge from the Freed Unit was 'Meet Me In St. Louis' in 1944, followed by a whole series of masterpieces including 'The Harvey Girls' in 1946, 'The Pirate' and 'Easter Parade' in 1948, all of which starred Judy Garland, 'On The Town' with Frank Sinatra and Gene Kelly in 1949, 'An American In Paris' and 'Show Boat' in 1951 and Gene Kelly's immortal 'Singin' In The Rain' in 1952. As producer he was awarded the Best Picture Oscar in 1951 for 'An American In Paris' and again in 1958 he received the Best Picture Award for his last great musical, 'Gigi'. Freed left MGM in 1961 and served for three years from 1963 as president of the Academy of Motion Picture Arts and Sciences. In 1967 he was presented with a special honorary Academy Award for his distinguished service to the Academy. Freed also produced five highly regarded telecasts of the Academy Award ceremony, and one pre-ceremony special. He was inducted into the Songwriters Hall of Fame in 1972. Freed was married in 1923 to Renée Klein and the couple had one daughter. He died of heart failure on April 12, 1973, in Los Angeles. He was 78. He is buried at Hillside Memorial Park, Culver City, CA. ... aka "Take Me Out to the Ball Game"